4″ x 6″ Anti-Bullying paper stick flags, printed on 100% recycled 70lb paper, flag stapled on 9.5” white paper stick. Made in Vancouver, Canada. Both the flag and stick are recyclable. Not only they are great for fundraising, they are excellent for parades and other events too. 12″ x 18″ Anti-Bullying boat flags are printed on knitted polyester, the ideal fabric for moving vehicles. 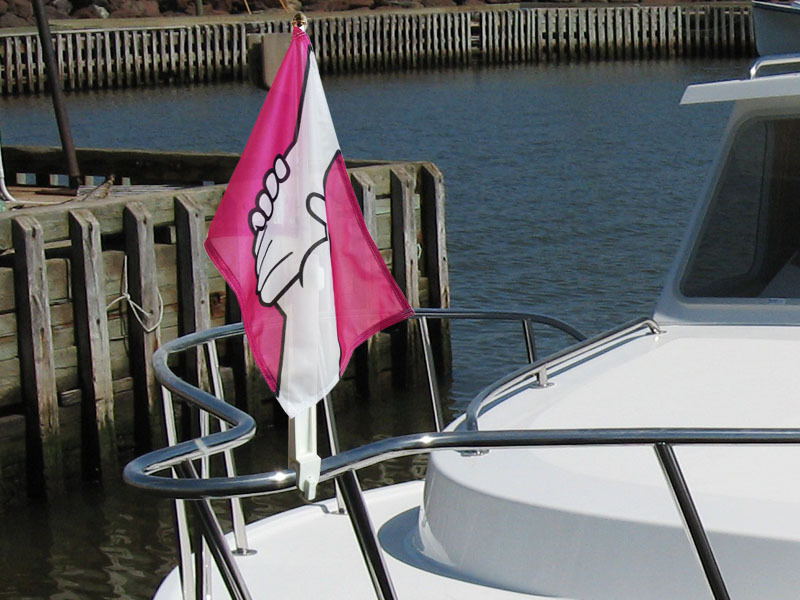 The flag can be attached to the boat pole and attached to your boat rails. Made by The Flag Shop in Vancouver, Canada. 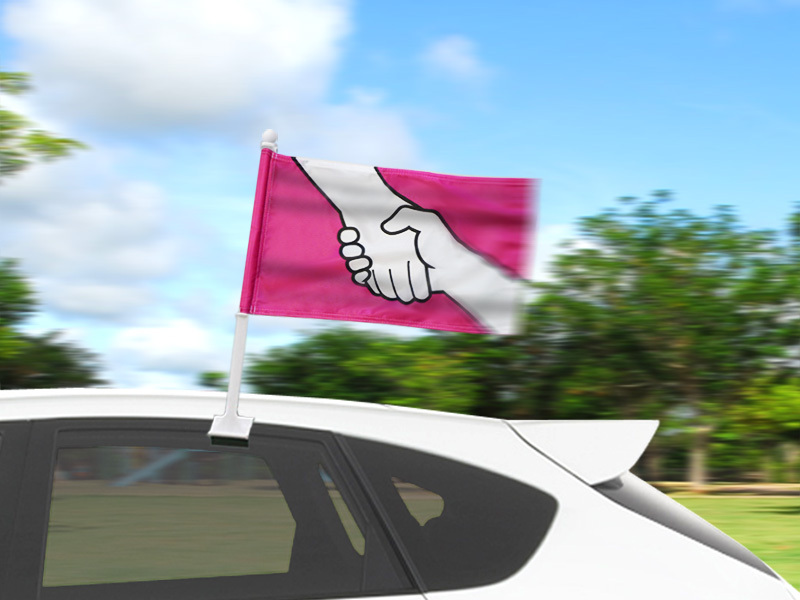 12″ x 18″ Anti-Bullying car flags are printed on knitted polyester, the ideal fabric for moving vehicles. The 20″ long white window pole and clip are made of plastic, strong enough to be used on the highway. These car flags clip nicely onto most car windows. Made by The Flag Shop in Vancouver, Canada. 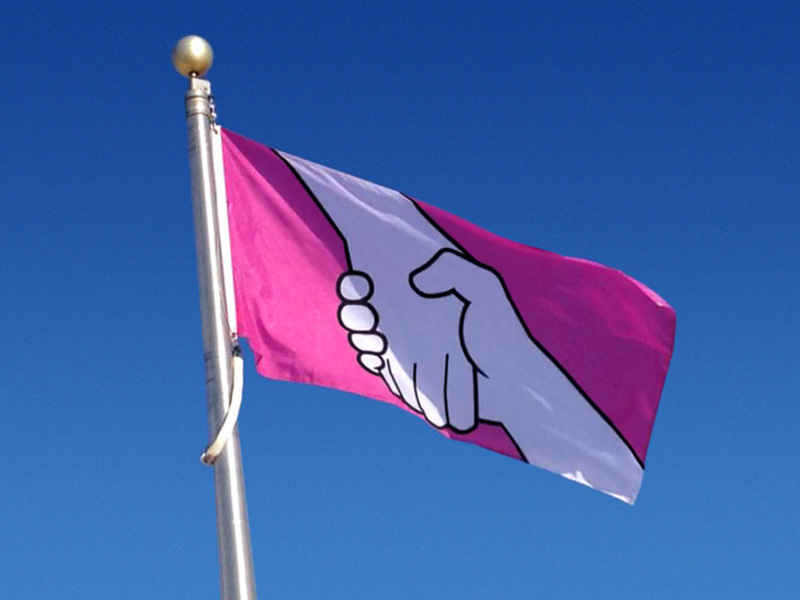 Anti-Bullying Flags – Available in 27″ x 54″ and 36″ x 72″. 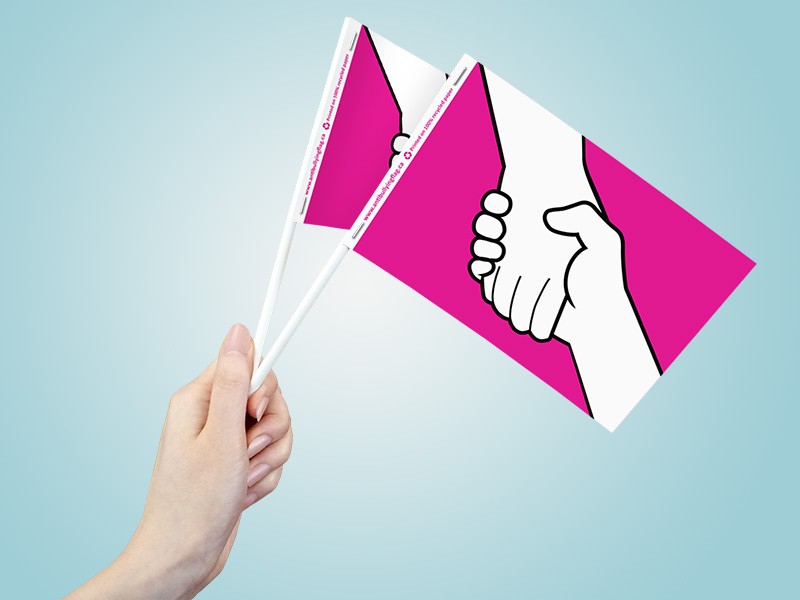 Anti-Bullying flags are available in 2 sizes. 27″ x 54″ and 36″ x 72″ polyknit, finished with rope & toggle. Made in Canada by The Flag Shop. Flagpoles and other flag hardware are also available, sold separately. Quantity order discounts available. 1.5″ digitally printed round buttons, laminated with safety pin backing. Made in Canada exclusively for The Flag Shop. Made of 100% silicone, these high quality anti-bullying silicone bracelets are 8 1/4″ long (circumference) and 2.55″ in diameter. The silicone of the bracelets is 1/16″ thick. The silicone bracelets are CPSIA, RoHS, and CE certified (Also passed SGS test). 0.5″ x 1″ lapel pins, butterfly clasp and individually packaged. Made in Canada. 10.5″ x 2.25″ Anti-Bullying bumper stickers are printed on weather proof, matte white vinyl and made in Vancouver exclusively for The Flag Shop. 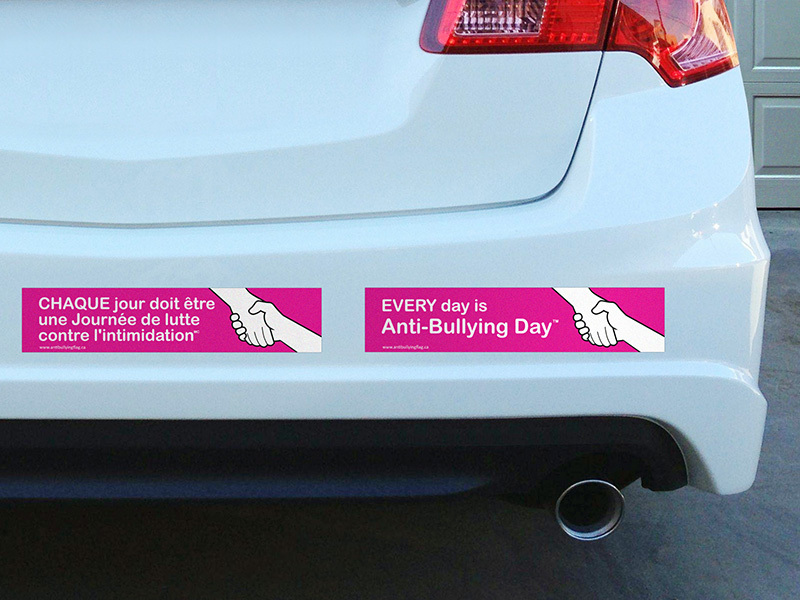 “EVERY day is Anti-Bullying Day™” is available in English or French. 1.5″ H x 2.5″ W Anti-Bullying embroidered SEW-ON crests. They are fun for school backpacks and jackets. Made in Canada exclusively for The Flag Shop. 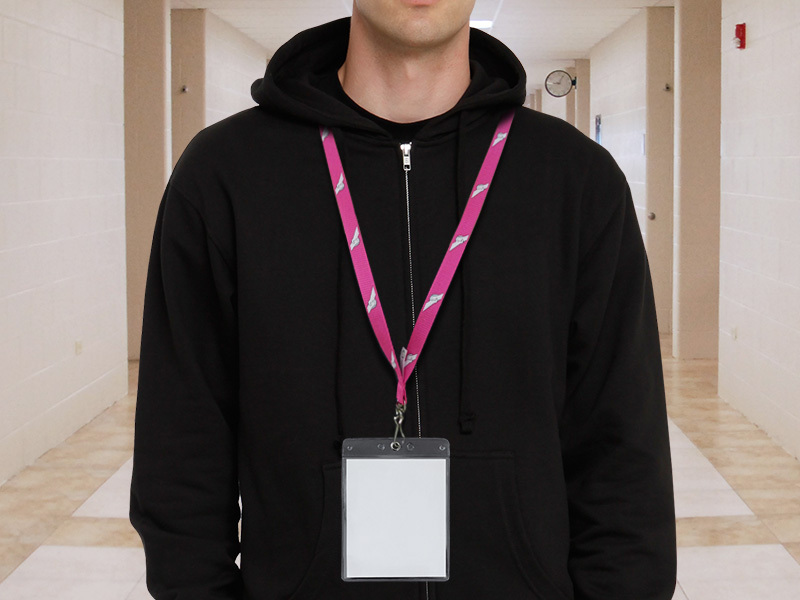 1/2″ W x 18″ L polyester Anti-Bullying lanyards with J-Hook attachment and plastic safety breakaway. Printed on one side. Lanyards can be used as ID holders, name badges and key card holders, cell phone straps, key straps, and neck wallet straps. If you would like to purchase the Anti-Bullying products, please contact us by calling 1-800-663-8681, or contact The Flag Shop nearest you. If you have questions or would like to order custom Anti-Bullying products, please contact us.